The Hidden Meaning Behind The London Olympics 2012. God is judging the entire world because of our wickedness. *REVELATION 6:12-13* ~ This begins on the closing date of the Olympics and will proceed for 11 days till August 23rd. YOU ARE WARNED. YOU NEVER BELIEVE ME. AT YOUR OWN PERIL THIS TIME. Will the LOCUSTS land on August 4th at the London Olympics? IT IS NOW ESTABLISHED AND WAS DECIDED AS OF EARTH DATE, WEDNESDAY JULY 25TH, 2012 BY THE PLEIADIAN HIGH COUNCIL IN ALLIANCE WITH FOUR OTHER GALACTIC COUNCILS, UNDER GALACTIC CODEX GUIDELINES THAT WE THE PLEIADIAN FAMILY OF LIGHT WILL NOW INTERVENE FULLY INTO GAIA’S ASCENSION. >Ultimately, this was not decided by these demons, but by GOD! This is the locusts of Revelations! FURTHERMORE IT HAS BEEN DECIDED THAT WE WILL MAKE FULL CONTACT WITH EARTH BEINGS IN EIGHT DAYS FROM THIS TRANSMISSION ON AUGUST 4, 2012 AT THE WORLD OLYMPIC GAMES IN LONDON ENGLAND FOR THE ENTIRE WORLD TO SEE! THIS WILL BE FOR OUR INTRODUCTION AS WELL AS OUR FIRST EFFORTS TO WORK DIRECTLY WITH YOU IN THE CORRECTION AND ASCENSION OF GAIA AND TO ASSIST WITH YOUR OWN ASCENSION. >Eight is a very important number to the occult. Also, August 4, 2012= 12/12 which in Biblical numerical status is perfect government. But, it is not Satan’s government which is perfect, only GOD and His LAWS/government. Again, Satan is twisting the Truth. Gaia is Satan’s territory, hence the green movement by our world leaders-he wants you to worship the earth not GOD. Secondly, ascension can ONLY be accomplished with GOD. This ascension these demons speak of is a soul-scalping. A stealing of one’s soul for the purpose of evil. SOPHIA-GAIA’S SICKNESS HAS REACHED A CRITICAL STAGE AND MUST BE CLEANED UP AT ONCE. THE LIGHT QUOTIENT ON EARTH IS NOT HIGH ENOUGH AT THIS STAGE TO AFFECT A MASS GLOBAL ASCENSION LET ALONE TO HELP MOVE AN ENTIRE PLANET TO THE NEXT DIMENSION. PLANET TERRA (EARTH) IS SCHEDULED FOR A TRANSITION INTO THE FIFTH DIMENSION ON 12-21-2012. WE ARE WELL PLEASED TO SEE THAT THE EFFORTS OF MANY BEINGS ON EARTH HAVE EASED HER SUFFERING HOWEVER DUE TO THE IMMINENT UPCOMING GALACTIC CYCLE AND THE AMOUNT OF WORK AND HEALING THAT NEEDS TO BE DONE FOR GAIA CANNOT BE COMPLETED BY EARTH BEINGS ON SCHEDULE. >SOPHIA is who the Freemason speak of. Does this not strike you as strange? If their against these ‘aliens’ then why do they attain the same goals? We are ‘scheduled’ for a transition…they certainly are full of themselves. But, then again so is Satan. >The correct statement in this passage is they CANNOT stop GOD’s WILL. They know their time is coming to a conclusion very soon! The time is ripe for their judgment! ON JULY 25TH IN THE PM HOURS EST OUR ORBITING PLEIADIAN FLEET OPENED A SUPER PORTAL ON GAIA’S INNER ATMOSTPHERE IN THE PM HOURS EST. A SUPER PORTAL WAS OPENED ON THIS DAY OUT OF TIME SPOKEN OF OLD IN PREAPRATION FOR OUR LANDING ON GAIA! YES THAT’S RIGHT DEAR ONES! NOW IS THE TIME! THIS DIMENSIONAL DOORWAY WE OPENED IS A 5D TO 4D VIBRATIONAL STEP DOWN GATE USED TO DECLOAK AND LOWER THE DENSITY OF OUR SMALLER SHIPS AND OUR LIGHT-BODIES FROM PLASMA-LIGHT TO 3D ELEMENTAL VIBRATION AND EARTH RESONANCE. AS OUR MAIN SHIP FROM ERRA WHICH IS 4 TIMES THE SIZE OF YOUR EARTH DESCENDED 300 MILES DOWN TO THE BASE OF THE INNER ATMOSPHERE TO OPEN THIS PORTAL, THE PLASMA FIELD AROUND THE SHIP INTERACTED WITH EARTH’S MAGNETIC FIELD IN A STRONG MANNER. >NOW is the time to open your heart to GOD, not to these entities who disguise themselves as gods. True, many more UFO’s are being seen as of the last couple years. This year they bumped it up, big time. They know their time is close at hand. Ascended Master, FAKE Jesus! Oh don’t be fooled! This is why so many people will be fooled! aTHERE WAS NO DAMAGE DONE TO GAIA OR ITS BEINGS AS WE CALCULATED HOWEVER MANY HIGHLY SENSITIVE EARTH BEINGS FELT THIS JOLT WHEN OUR SHIP TOUCHED YOUR INNER ATMOSPHERE. MANY OF THESE HIGLY TUNED EARTH BEINGS’ MAGNETIC FIELDS WERE GROUNDED OUT! THERE WERE MINOR REPORTS OF ETHEREAL EXPLOSIONS AND ELECTRICAL DISURBANCES, BALL LIGHTNING, OBE’S AND TRANSLUCENCE MATTER SIGHTINGS. A FEW HIGHLY EVLOVED AND VERY SENSTIVE EARTH BEINGS LOST CONSCIOUSNESS FOR NEARLY AN HOUR BUT AGAIN NO SERIOUS DAMAGES WERE DONE! MOST EARTH BEINGS NEVER REALIZED ANYTHING AT ALL HAPPENED! THIS FIRST PHASE HAD TO BE DONE TO OPEN THIS STARGATE FROM THE HIGHER DIMENSION TO YOURS TO PREPARE FOR THE CLEAN UP OF GAIA AND FOR HER ASCESION AND FOR THE ASCESION OF HER SENTIENT LIFE. >The earth did experience some big earthquakes on the 25th & 26th. Beginning on the 25th, and moving into the 26th, it became progressive. THIS PHASE WAS AN INTRICATE AND ADVANCED TASK FOR US BECAUSE EARTH IS SO FRAGILE AND THIS IS THE FIRST TIME IN THE KNOWN HISTORY THAT WE DEMATERIALZED OUR MAIN SHIP AND BROUGHT IT THIS CLOSE. THIS OPERATION WAS COMPLETELY SUCCESSFUL! THE OPENING OF THE PORTAL WAS FOR THE MERGING OF 5D AND 4D, A BRIDGE BETWEEN THESE TWO DIMENSIONS AND IS NOW FULLY OPEN! THIS IS THE FINAL GATE WHERE YOU WILL LETERALLY WALK FROM EARTH INTO YOUR HEAVEN! OUR DISCLOSURE DATE HAS BEEN GIVEN TO YOU AND HAS BEEN IMPRINTED INTO THE GROUND AND LITERALLY WRITTEN IN THE EARTH AT MANTON DROVE AND WINDMILL HILL AS OUR MESSAGE TO YOU FOR OUR REUNION EARTH DATE: SATURDAY AUGUST 4TH, 2012! 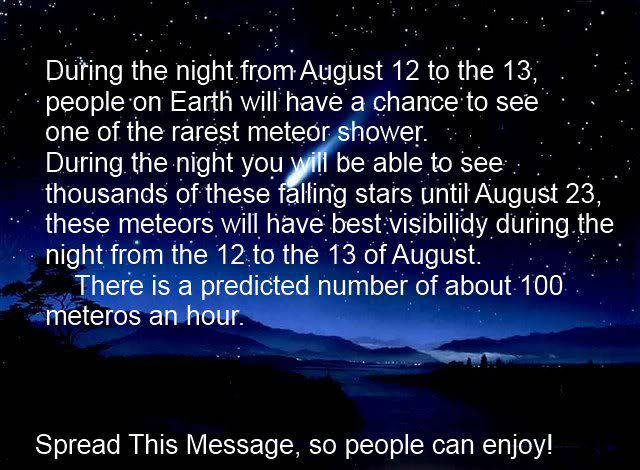 OKAY>>> let’s take notice to the days set aside for rituals and contact. 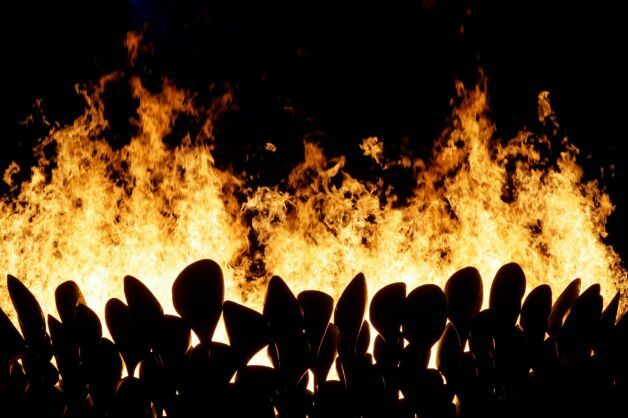 9 Av 5772 (July 27, 2012)-This date was chosen for the opening ceremony of the Olympics 2012. But, if you look at this date in history, you will find that it is a very horrific date for Israel. 9 Av is a very special date in the Jewish tradition, the date of the destruction of the First Temple and the Second Temple. This is noted as the year 70 A.D. for the destruction of the Second Temple in Jerusalem by the Romans. So, not only do the Elite set aside the date of July 27, 2012 for the opening of the Olympics which is a celebratory memorial for Atlantis & the gods but also the date of August 4th, 2012 for the DISCLOSURE by the ‘aliens’? Something is amiss here! If these two factions (our world governments & the ‘aliens’) are not connected then why are all the dots connecting? WELCOME TO ZION, THE CITY OF YOUR CREATOR GODS, DEAR ONES! ON THIS EARTH DAY JULY 27, 2012 WE SAY TO YOU, LET THE GAMES BEGIN! WE HAVE SOUGHT THE BEST WORLD-WIDE EVENT; YOUR OLYMPICS WHERE MANY EARTH BEINGS AROUND THE GLOBE WILL GET TO MEET US! >They have awaited these particular dates, (the world elite & ‘aliens’) to let the GAMES begin. That is exactly what this is….MIND GAMES! How do they DEFINE, meet us? Will they land? Like the 1984 Olympics, where they made themselves known, will they land this time? If you look closely at this video @ the 4:40 mark…you will see lines above the ship. This looks like a city on top of the ship. Is this what the New Jerusalem will look like and they are duplicating it? Twisting it, as Satan does everything of GOD! Then, it begins to take the shape of a TRIANGLE. This is the supreme occult shape! After this you begin to see a square light up in the bottom of the ship…in Revelations, we are told the dimensions of New Jerusalem. It will be a perfect SQUARE! This whole event which took place in 1984, should have made people come to the realization of just how serious the elite are.And how serious these games are to them. At the end of this video: A ‘man’ which is 7 feet 8 inches tall! A GIANT! A portrayal of a Nephilim? WE KNOW THIS SOUNDS INCREDIBLE TO YOU BUT YOU WILL BE ABLE TO CONFIRM IT FROM MANY OTHER SOURCES, MANY OF THESE ARE OUR EARTH ALLIES! WE ARE MEETING WITH HIGH LEVEL EARTH AMBASSADORS (THE GOOD GUYS) TODAY AND WE HAVE SUCCESSUFLLY NEGOTIATED OUR REUNION WITH YOU TO TAKE PLACE AT THE 2012 OLYMPICS! THAT DISCLOSURE AND OUR REUNION WITH YOU WILL TAKE PLACE IN 8 DAYS! AS IT IS DECIDED AND WRITTEN IN THE COUNCIL RECORDS, SO SHALL IT BE DONE! ALL EYES WILL SEE IT! >So the date of the OFFICIAL Disclosure is set?Is this the “LOCUSTS? That the Bible warns us about? Will they in fact, turn against us in the near future? The Bible says we will watch things happen on a worldwide scale? Why are these elite & ‘aliens’ so set on making this happen, here and now? Are they guiding events to happen in the chronological order of the Bible, and if so why? It’s all about control folks! Since the days of old, when the elite controlled the masses via religion, it IS happening again! WE HAVE MADE PLANS TO LAND DIRECTLY ON THE OLYMPIC FIELD WITH YOUR EARTH LEADERS AS WELL AND WE WILL SHOW YOU WHAT THE 4TH DIMENSION AND THE 5TH DIMENSION LOOKS LIKE! IT WILL BE A TRUE DISPLAY OF LIGHT AND SOUND AND ENERGY! DO NOT FEAR THIS! WHAT DID YOU EXPECT? WE HAVE BEEN IN NEGOTIATIONS WITH YOUR LEADERS FOR SOME TIME NOW BUT THERE ARE STILL SOME OF THESE WHO HAVE BEEN DRAGGING THEIR FEET ON OUR REUNION WITH YOU! WE ARE NOW GOING TO FORCE THIS TO HAPPEN FOR THE HIGHEST GOOD BECAUSE THERE IS NO TIME LEFT! WE HAVE GIVEN YOUR WORLD LEADERS UNTIL AUGUST 4 TO MOVE OUT OF THE WAY OR THEY WILL BE MOVED OUT OF THE WAY BETWEEN YOU AND US! THEY HAVE INTERRUPTED OUR DISCLOSURE SINCE APRIL OF THIS YEAR AND WE HAVE WAITED UNTIL THIS, THE VERY LAST MOMENT DOING ALL WE COULD TO STOP THE DESTRUCTION ON EARTH WITHOUT DIRECT INTERVENTION! THAT TIME HAS NOW COME TO ITS END! >Here we have it! They will LAND directly on the OLYMPIC FIELD. In front of the WORLD. It will happen WITH our world leaders! They gave our world leaders an ultimatum? Really? They are challenging humanity’s spiritual judgment, or at least this will be their agenda in the beginning. They want to be worshiped! Believe me! IN 8 DAYS All WORLD G20 LEADERS WILL ANNOUNCE US AND WE WILL APPEAR OR THEY WILL NOT AND WE WILL APPEAR ANYWAY! So, no matter what the ‘aliens’ say this will happen. Well, the Federation of Light promised this on October 13, 2009, did they not? I personally believe what will happen is GOD’s WILL, not anyone else’s. THOSE LEADERS OPPOSED WILL BE REMOVED AND WILL NOT BE PART OF THE GOOD WORK WE WILL DO WITH YOU THROUGH THE REST OF 2012 AND BEYOND! THE DOOR IS NOW OPEN AND WE ARE COMING THROUGH! THE FALSE AUTHORITY CABAL TRACE REMAINS STILL INFECTING THE MINDS OF MANY CAUSING THEM TO BELIEVE THEY ARE ENSLAVED BY SOME POLITICAL-MILITARY AUTHORIOTY OR GOD WILL BE TERMINATED. THE FEDERAL RESRVE WILL NOW BE COMPLETELY DISMANTLED AND THE UN WILL WORK WITH US OR NOT! THEY HAVE 8 DAYS! ALL DEBTS OF THE PEOPLE OF EARTH WILL NOW BE FORGIVEN AND PRISONERS WILL BE RELEASED ON EARTH AND RE-ORGANIZED ACCORDINGLY! ALL TECHNOLOGY WILL BE GIVEN TO THE PEOPLE FOR INSTANT HEALING OF THE BODY AND FOR THINGS THAT CANNOT BE IMAGINED! >The door is now open and we are coming through! This is the portal for the demons!! Promises of illness cured? Is this not foretold in the Bible? DEC 21 2012 IS THE FIRST DAY OF THIS GREAT ASCESNION AND ALL NEGATIVTY WILL BE COMPLETELY CLEARED FROM THIS REALM! THE MATRIX WILL NOW BE COMPLETELY DISSOLVED FOREVER! THIS WILL BE DONE BY BOTH YOU AND US WORKING IN TANDEM! WE THANK YOU FOR YOUR BRAVERY AND COURAGE FOR COMING HERE DECADES AGO AND LATER TO DO THIS GREAT MISSION! WE WILL SEE YOU ON SATURDAY AUGUST 4TH! GOODWILL TO ALL THE EARTH AND THOSE WHO DWELL WITH HER. >So, it has been given to us. This date of disclosure. Are you ready to have your spiritual rights challenged? Are you ready? Are you? I THINK THIS MAY ALL BE LEADING UP TO THE DECEMBER WINTER SOLSTICE THE MAYANS PROPHESIED AND WARNED OF, AND THE FOLLOWING DAYS..INITIATION ON A MASS SCALE, INTO THE WORLDWIDE RELIGION OF LUCIFER, CLIMAXING ON DEC. 25. THEY THEMSELVES, (DEVOTEES OF SATAN) SAY IT INVOLVED A TONE OR HUM OF A FREQUENCY OR FREQUENCIES WHICH WILL CAUSE PORTALS TO OPEN WITHIN US, WHICH IS THEIR GOAL, SO THAT THE CALLED-DOWN SPIRITS OF THE “ASCENDED MASTERS” AND THE “ENLIGHTENED ONES” MAY TAKE OVER OUR BODIES, MINDS AND TOSS OUR OWN SPIRITS TO THE SIDE; MOVE IN, SO TO SPEAK (CALLED WALK-INS). Remember the Puerto Rico Hum on their local news? and Florida’s ‘What is this LOUD noise?’ on YouTube, 8 minute long video of mother and father. The Colorado strange sounds, the Maryland quiet neighborhood sounds like terrifying voices from the abyss; the Ukraine, Yugoslavia, Denmark, Germany,Sweden, England, Ireland. but whether my sister is right or not about those noises coming from demons, it does not matter at this point because the “Ascended Masters” are coming anyway so we won’t argue about those sounds simply because they are either from the demons or from the Satanists, which is the same spiritual source. Are we awaiting the long foretold coming of the sky-gods this year? Many people believe so. These Ascended Masters keep channeling and telling us they are here! Here for what purpose? Is this the “LOCUSTS” in Revelations? I do believe so! These strange occurrences which are taking place worldwide, are they the wormholes opening with ritualistic practices? Are these strange sounds part of this same experience? So many questions, so little answers. But, I will tell you this…no matter what takes place, we need to TRUST in GOD to keep our souls safe. This is their objective-to inhabit your body in order to steal your soul! Call upon your Father and Creator, to protect you from this evil we have caused to rule over us all. We are sorry, very sorry for our ignorance, and our sins, our sorceries, and apostasies, for harming your spirit with vexing anger, and harming all your beautiful creation. The Beautiful Isles were supposed to be a blessing due to Abraham’s faith and obedience, love. We are so sorry, and it is late. Please forgive us, hear our pleas and save what is now left of our squandered blessings you have given us all. Save our children, our friends, our countrymen, and those of all other countries, from ourselves, and from these spirits of destruction that we have worshiped these millenniums, to your laments, anger, and despair; we are all sorry, Father GOD, in Your Only Awesome Sacred Name, we ask your pardon, forgiveness, and rescue. Please, we ask this sincerely in name of Jesus Christ, who will come again in Your Name, after the grand deception of the Winter Solstice has come and gone. (who knows how long after that, we will have to suffer, but please help us to stand in the evil day! ← Proud to be American or White? Well, that’s alright but you need to revise your history a littl’…. people NEED TO KNOW THAT THE GALACTIC FEDERATION OF LIGHT IS OF LUCIFER, the ascension process MIRRORS EXACTLY WHAT LUCIS TRUST, AND THE UNITED NATIONS, NEW WORLD SERVERS, TRIANGLES, ARCANE SCHOOL, AND WORLD GOODWILL ARE DOING, THERE IS SO MUCH EVIDENCE, IT;S ABSOLUTELY MIND BOGGLING HOW PEOPLE HAVE COME TO THIS! people NEED TO DO THEIR RESEARCH, the ascension process has just been made pallatable to the masses that don;t believe in LUCIFER, i have much evidence, people NEED TO READ ABOUT HELENA BLAVATSKY AND ALICE BAILEY THE FOUNDERS OF THE NEW AGE MOVEMENT, both women head of the Theosophical Society, and Lucifer Magazine, also read Manly P Hall, Albert Pike, the Freemasons, Jesuits, Zionists, united nations all believe the SAME DOCTRINE, here is but one thing i have found in their literature, EVERYONE ABSOLUTELY NEEDS TO GO TO LUCIS TRUST;S WEBSITE, AND SEARCH AN ARTICLE CALLED DESCENT AND SACRIFICE, then, and only then, WILL YOU SEE WHO THE UNITED NATIONS THINKS IS THE SAVIOR OF MAN, it;s mind boggling!